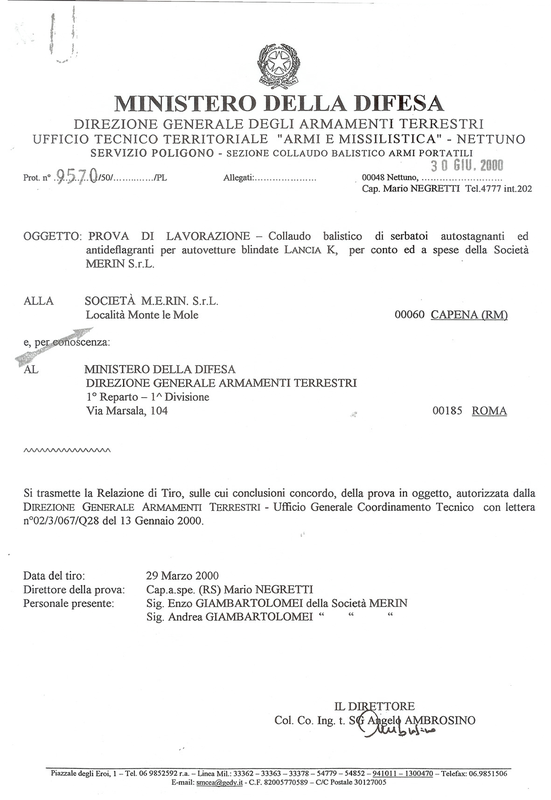 M.E.RIN’s ballistic protection provides customized solutions with single or complete treatments for self-sealing, flame-retardant, anti-grenade and anti-explosion fuel tanks, using the best technology for armoured and bulletproof vehicles, all documented by the certifying bodies Beschussaamt Ulm in Germany and UTT of Santa Severa in Italy. 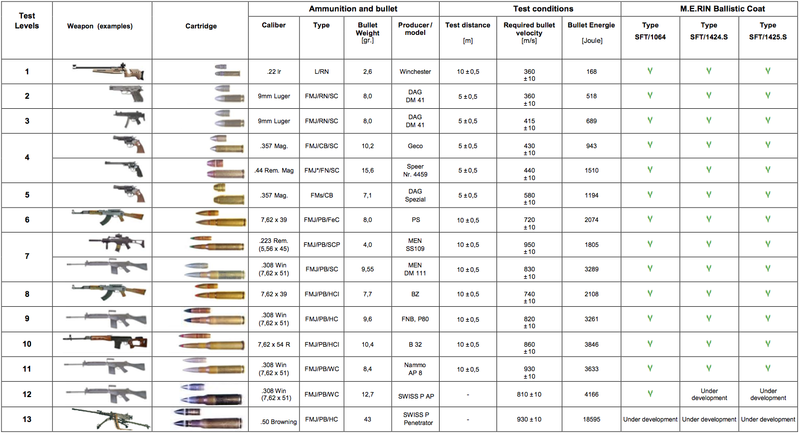 Shooting trial and report c/o UTT of Santa Severa – ballistic testing of self-sealing and explosion-proof fuel tanks for LANCIA K armoured cars. 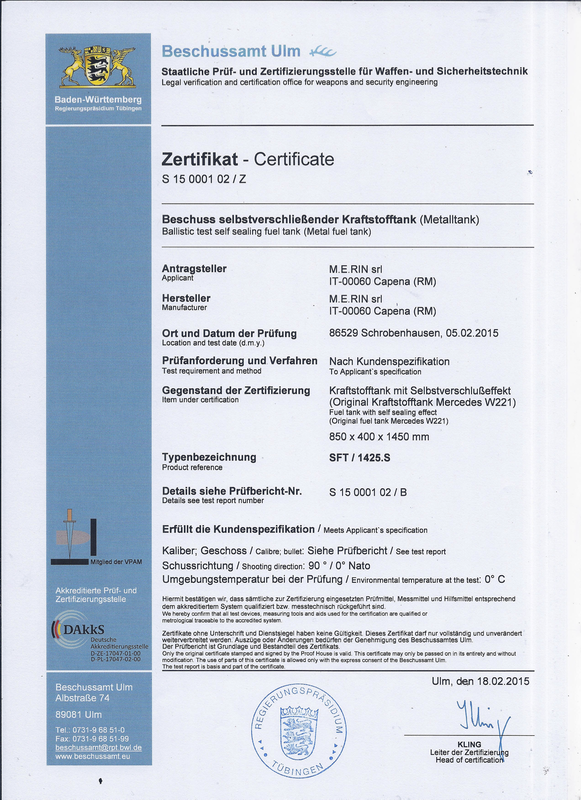 Certified with ballistics test c/o Beschussaamt Ulm – self-sealing treatment of the standard fuel tank in metal for the MERCEDES W221 car. 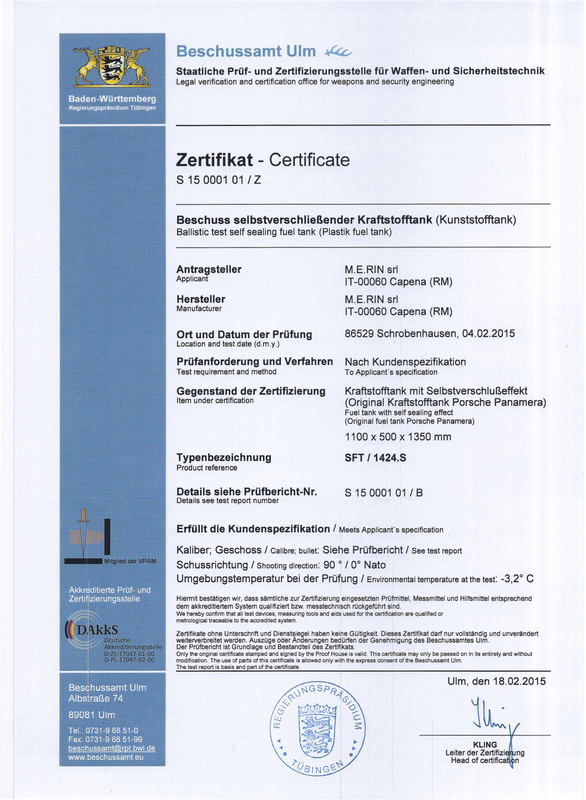 Certified with ballistics test c/o Beschussaamt Ulm – self-sealing treatment of the standard fuel tank in plastic for the Porsche Panamera car.